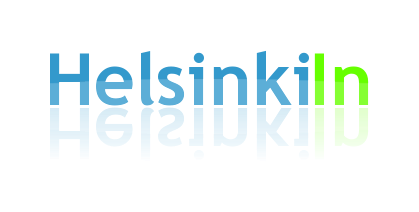 I already presented you my ranking of the best pubs in Helsinki. Today it’s all about the cafés. 1. Café Fazer (CITY Ranking not under the top 5): It might be one of the biggest tourist attraction and that is probably also the reason why Helsinki locals didn’t vote it into the top 5 cafés in Helsinki. It is also definitely not the cheapest place in Helsinki. For me it is anyway the number one. 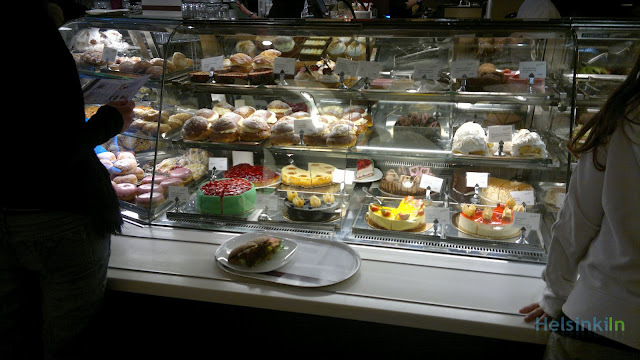 Fazer, located in Kluuvikatu between Esplanadi und Alexis, has by far the biggest and best selection of cakes, tarts, cookies, chocolate, sandwiches and whatever else you ever wish for for a nice afternoon at a café. Even if it is tempting to take more I would highly recommend to just take one piece of cake. They are really filling and together with a nice coffee or hot chocolate should be enough to make you happy. When you come there for the first time, try to cheesecake. It’s amazing. Also the interior at Fazer convinces with its luxurious but still simple style. Eventhough it is nice to sit next to the window and watch people passing by I would recommend sitting in the back of the café under the dome. While enjoying your cake try to avoid too private topics. Due to the interesting acoustics it is possible for the people on the opposite side of the dome to overhear your conversation. 2. Kappeli (CITY Ranking not under the top 5): Again one of those tourist places and again probably a reason it didn’t make it into the top 5. Kappeli is a restaurant, café and bar on Esplanadi. The beautiful and recently restored old building with a lot of windows has its very own style and atmosphere. I the summer you can sit outside on the terraces, enjoy the sunshine and listen to one of the many bands that play on Esplanadi. In winter you should come inside, have a got glöggi or just a normal cappuccino and enjoy the warmth while watching people outside fighting the cold in their fluffy winter coats. Kappeli is a place with great tradition. Opened in 1867 it already hosted few of Finland’s most famous and important artists like Jean Silbelius and Eino Leino. The history and the nice location also have an effect on the price. Kappeli is one of the most beautiful but also one of the most expensive places in Helsinki. 3. 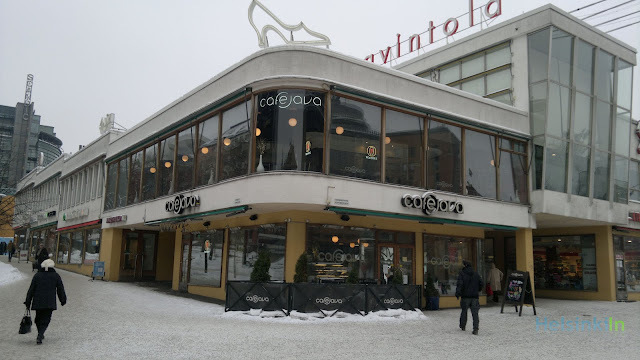 Café Java (CITY Ranking No 1): In the corner of Lasipalatsi at Mannerheimintie Café Java is located at the probably liveliest crossroad of Helsinki. If you want to watch the city life while having your coffee this is the place to go. Café Java offers a nice selection of pastry and hot and cold beverages. If you are hungry you can also create your own salad. Not just because it has lately been voted the best café in town it is almost always crowded. After noon it gets tough to find a table here. And waiting at the counter for your order might take a while. Especially during rush hour I would recommend you to go right upstairs. They also have a bar up there where you can place your order. And also the view is much nicer from up here. Compared to Fazer and Kappeli the prices are quite reasonable (taking into account you are in the center of Helsinki). Absolutely agree, Fazer, and Kappeli are remarkable...I always stop in the Sokos Helsinki hotel nearby, and never fail to pay Fazer, and Kappeli a visit when in Helsinki from London. I think they are both great. Lots of people tend to disagree though just because those places are so well known and touristic. But they are definitely also among the best ones. You should also check out La Torrefazzione though. Best coffee in Helsinki, I'd say. Completely concur, Fazer, as well as Kappeli tend to be amazing... I usually stay in the actual Sokos Helsinki resort close by, and not neglect to spend Fazer, as well as Kappeli a call whenever within Helsinki through Birmingham. Nevertheless, these times, it appears the will deliver the queue.Some other paperwork speak about a new mission placed in the Institute--described being a post-apocalyptic sort of the particular Ma Commence regarding Technologies in Cambridge, Muscle size.Your Earth, which was called in Fallout Three or more as being what continued to be regarding Ma, can be mentioned within the paperwork.A written report via June This year claimed Bethesda had conducted any scouting day at Boston ma along with the fast around locations, introducing supposition the unannounced video game can be established generally there.Figures recommended from the file add a radio Disc-jockey named Travis A long way as well as an professional known as Sturges, identified as any cross among Friend Mom as well as Vin Diesel powered.